Anyone else working on a chronology for the Dynamite Shadow comics? They're not coming out in chronological order, even within the main series. Unless I see something different, I'm going to go with the current arc starting at #13 after Masks. I missed the annual, so I'm not sure about that. Even though #7 is stand alone, it is referenced in #8, so I'm going with the approach that all 6 Gishler issues go together. Issue #14 is out TODAY! Who got it? What did you think of it? 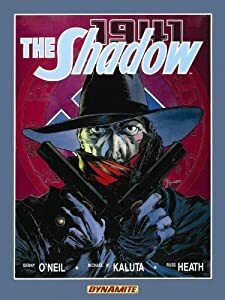 Discuss The Shadow #14 here and let the world know your thoughts! Amazing issue! The altercation between The Shadow and the mysterious woman in white was epic and to see that she got her victim despite his room being heavily guarded by police leads me to believe that she's more than just a standard enemy. You know what's great? The Shadow has had two amazing female villains with The Black Sparrow in the previous arc and this mysterious woman in this arc, both Victor and Chris have really established some strong female counterparts to The Shadow and I think that's fantastic. I hope that we don't see this woman in white killed off for good, she would make a fun long-term villain for The Shadow if he doesn't main her in the next issue or two. This was an awesome issue. clearly, we have a sophisticated and worthy villain for the Shadow. I like the way we are getting to see more of the Shadow's network involved. I am really intrigued with the villain's mysterious powers. The artwork was excellent. I enjoyed the early Shadow issues with him acting as a super spy, but I really like the return to the crime fighting in the city. Cant wait for #15. This title keeps getting stronger and stronger. Last edited by Renaud; 06-16-2013, 09:56 AM. Last edited by Renaud; 06-16-2013, 11:53 AM. another solid issue. like others have said, i'm impressed with this villain. I had "The Computer Calculates" and really enjoyed it. I wish I still had it, wastn't there a second story? Air Freight something? Also the 2 Green Hornet radio type shows. I have noisy copies of the GH shows on cassette and would like to upgrade. Last edited by Renaud; 06-16-2013, 12:13 PM. The Light is amazing, she's such a great adversary for The Shadow and Roberson is really capitolizing on strong female villains following Gischlers awesome Sparrow character. Amazing battles, amazing art, amazing story, and stellar development. Loving this latest run, amazing stuff. Love the vibe of the characters and the world they live in. Reprint beauty of the 1930's and '40's !!! Reprinting some of those early strips like the one above would be really "cool". 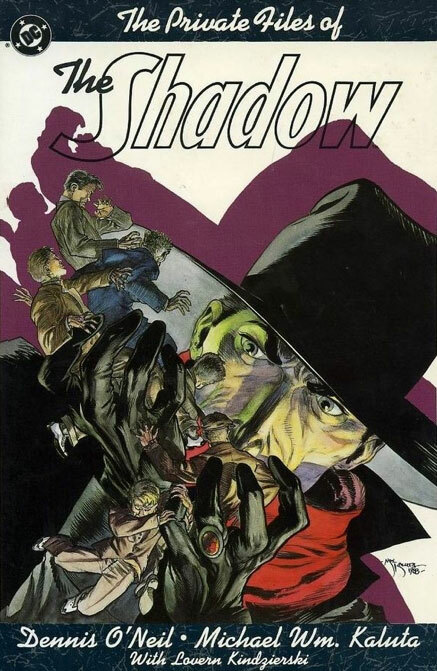 Some of the early art on The Shadow, Flash Gordon, The Phantom, and Mandrake were soooo beautiful. Some of the stuff turned out more recently ..... not so much. I would loved to see some of those strips in the comics. 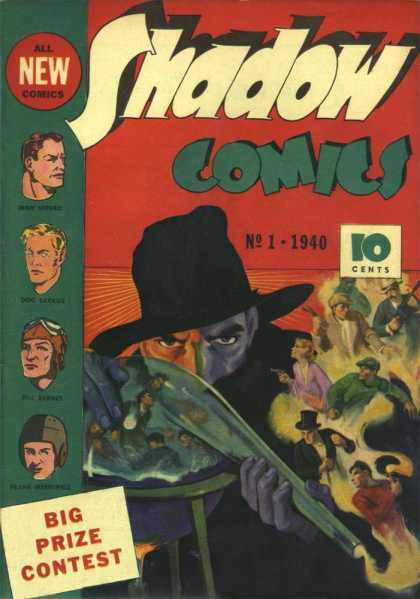 The Shadow #15 = wow! What an ending with Margo in danger of being struck down by The Light, I've got to wonder if The Shadow is going to make it back in time seeing as how he's cleaning up business on the other side of town in epic form. This issue was simply amazing and this is the creative team I want to see stay on the book for the long haul, everything is melding well together and the art and story are phenomenal, keep pumping them out Dynamite because you've got a fantastic book here. I love the epic scene in this issue when The Shadow puts out the lights and starts laughing and appears out of nowhere, stuff like this tingles my spine every time and makes this book something really special. Just awesome! Cliff hanger at it's best. The best part is knowing Margo will be saved, but not knowing how...there's the kicker. Margo will no doubt be saved, but how? And by who? All in all The Shadow #15 was a thrillride and told a wonderful story with art that is some of the best going today in my opinion, this book is aces all around and one hell of a pulp title. The Shadow will most likely bust those dudes up and make it back on time to save Margo, that's my prediction on the ending of #15.